There are so many benefits from this avocado, among others, it can maintain eye health, and even prevent cancer. We need to know, this fruit will not make you fat. Keep your eye health by eating a few pieces of avocado at lunch and dinner. There are many nutrients that we can find in avocados such as Lutein and Zeaxanthin, they are antioxidants that can be found in retina that can keep eye health. Substances that can also prevent diseases that come along with continued age, such as cataracts and macular degeneration. 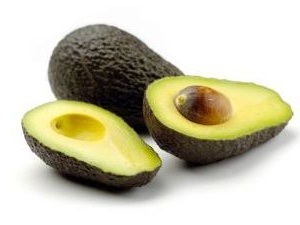 The content of avocados could kill or stop the growth of precancerous cells that may progress into cancer. According to a recent study, avocados contain large amounts of nutrients, including Folic acid and vitamins C and E.
A study conducted at Ohio University found that people who absorb the Lycopene contained in tomatoes, which added avocado could minimize the risk of esophageal cancer. That is because the fats contained in avocados absorb more nutrients. Do not hesitate to drink avocado juice or eating avocados directly according to your taste, such as by adding them to your sandwich. Avocados contain four grams of unsaturated fat that is good for the heart, 2 grams fiber, and 1 gram of protein per ounce.